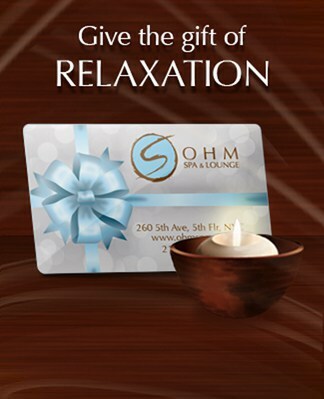 At Ohm Spa & Lounge, we have the most talented and experienced massage therapists in New York. 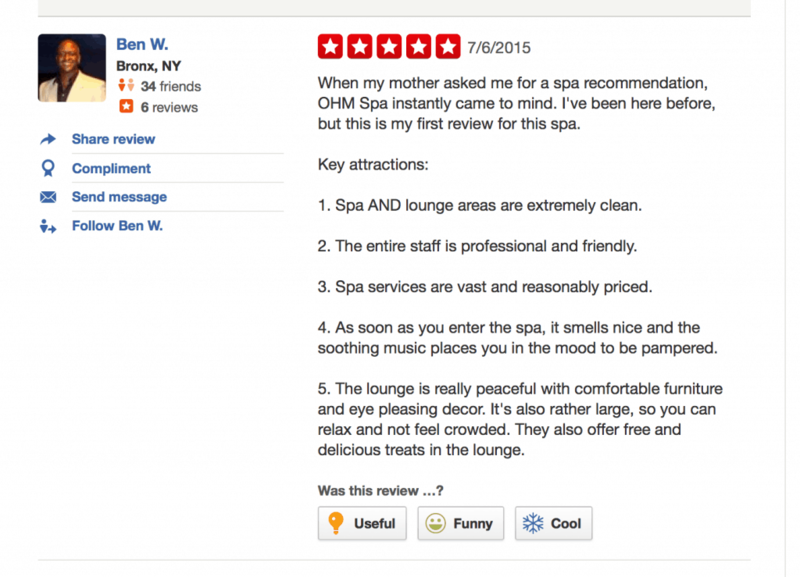 We also have a beautiful lounge and relaxation area for you to enjoy before and after your spa services. 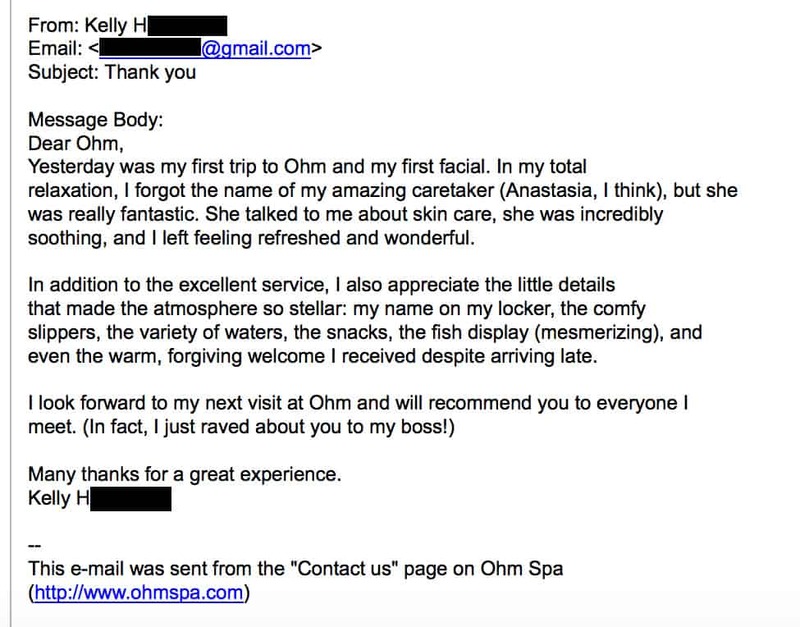 This unbeatable combination of expert massage therapy in a luxurious setting, with a personalized approach to each client, perfected over 10+ years as New York’s most relaxing spa, results in an unforgettable experience for you when you come to visit Ohm. 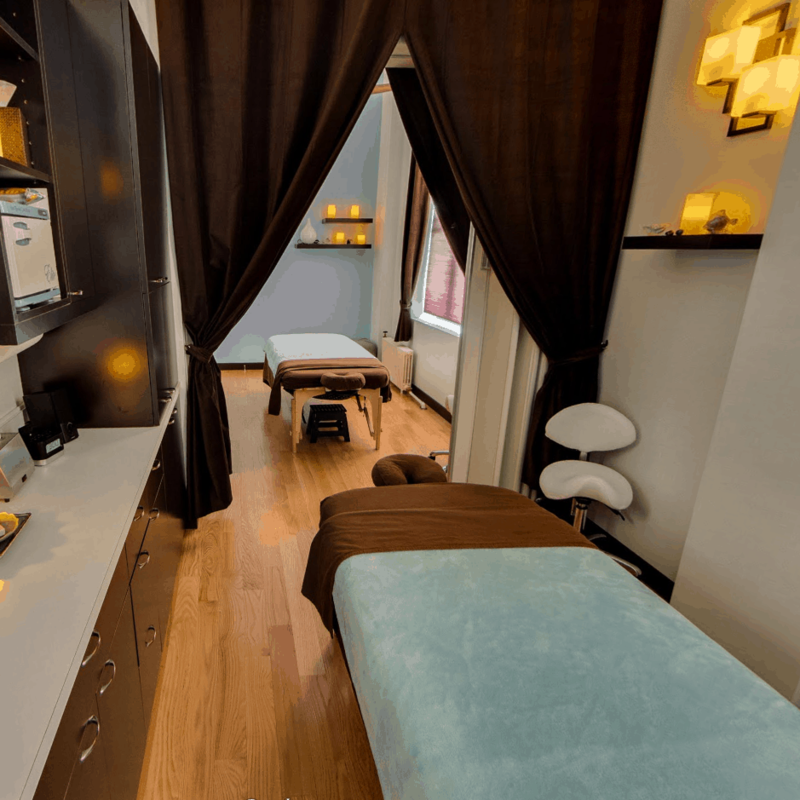 We offer sports massage, deep tissue massage, Swedish massage, hot stone massage, prenatal massage or a custom blend of various techniques for a one-of-a-kind treatment. 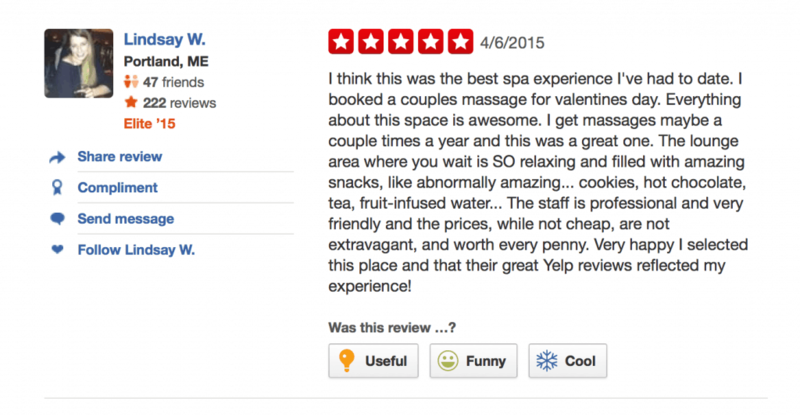 We also specialize in couple’s massage, where the two of you can enjoy your services in the same room, at the same time – the perfect way to spend a memorable hour or two together. 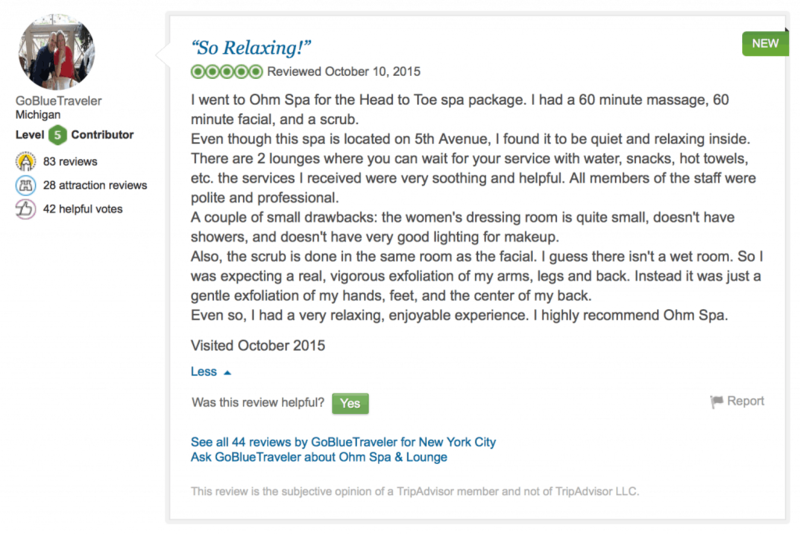 Our friendly and professional spa coordinators can answer any questions you may have to guide you to the ideal spa day for your needs. 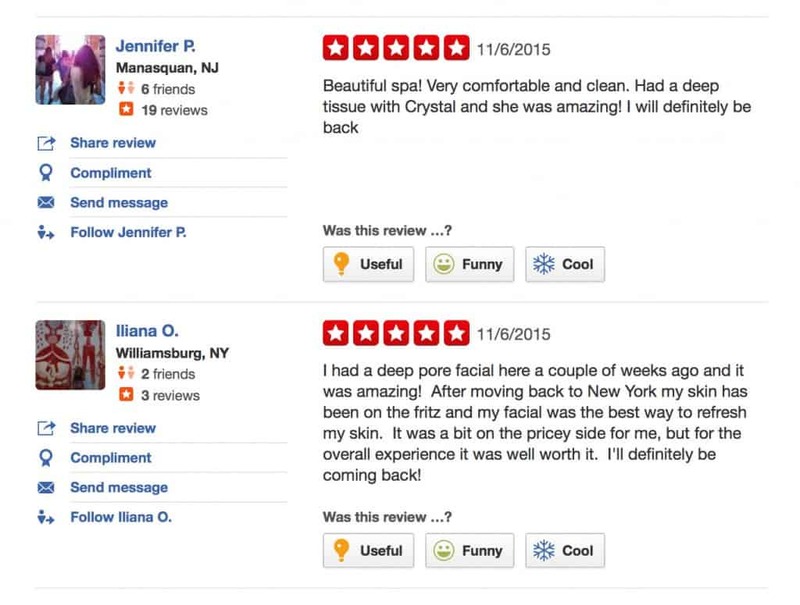 “I can’t wait to come back!” – 5 Star Review from Deana N.
5-Star Review From Mike W.
5-Star Review From Lily N.
"Truly the best spa in NYC!!!" 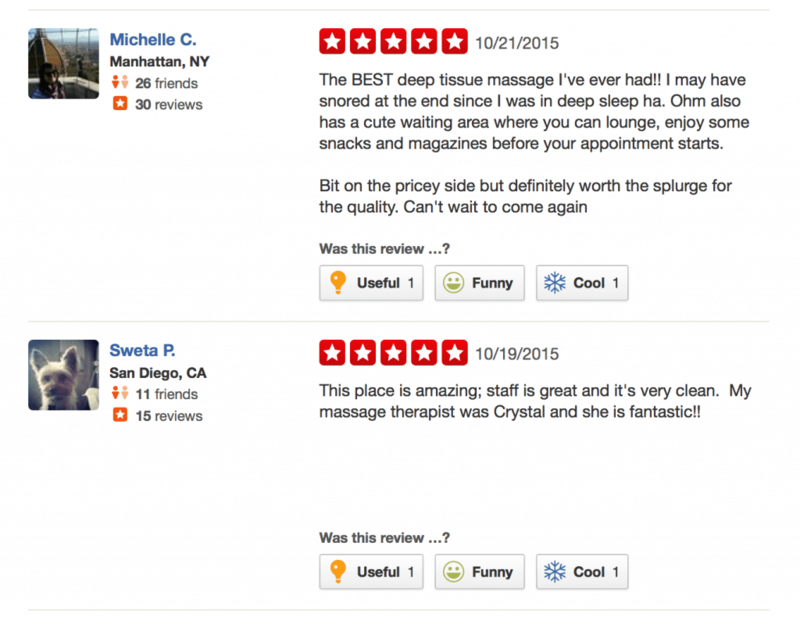 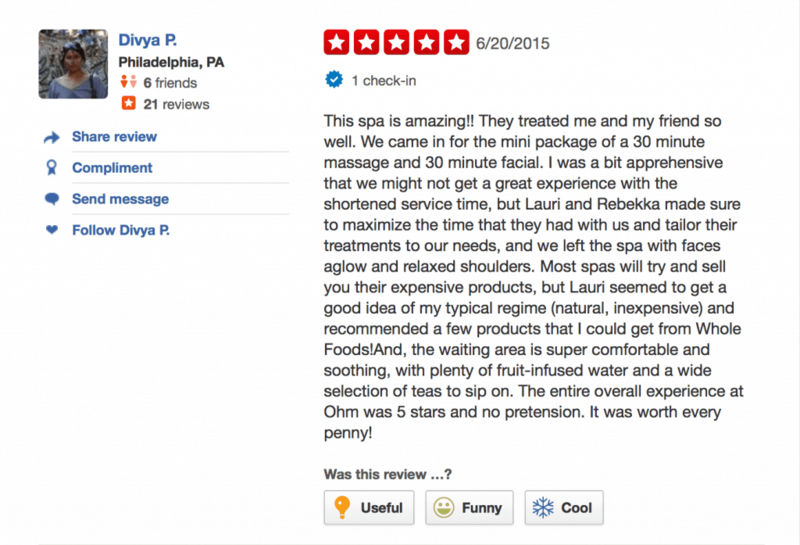 Couple’s Massage: "Amazing experience…beautiful lounge…excellent massage…"